Gerbera Daisy plants, with 30 fellow varieties, are one of the most popular, frequently delivered and self-grown flowers across the world. Because of their bright and bold colors: red, orange, yellow, white, cream, purple and pink, they bring light to anyone who gives/receives/plants them. These beautiful blooms are perfect for any occasion (or for no occasion!) and for any region. It’s widely recognized that sending colored Gerbera Daisies represents different emotions, similar to what each rose color means. Addition to the beauty of the plant, it also contains naturally occurring coumarin derivatives. Give them too much water and the roots will start to rot. Perhaps moisturising them with a water sprayer will keep them looking fresh, but don’t put (too much) water on the roots. At the end of the season they will wilt, but they are not dead, as they are perennial. 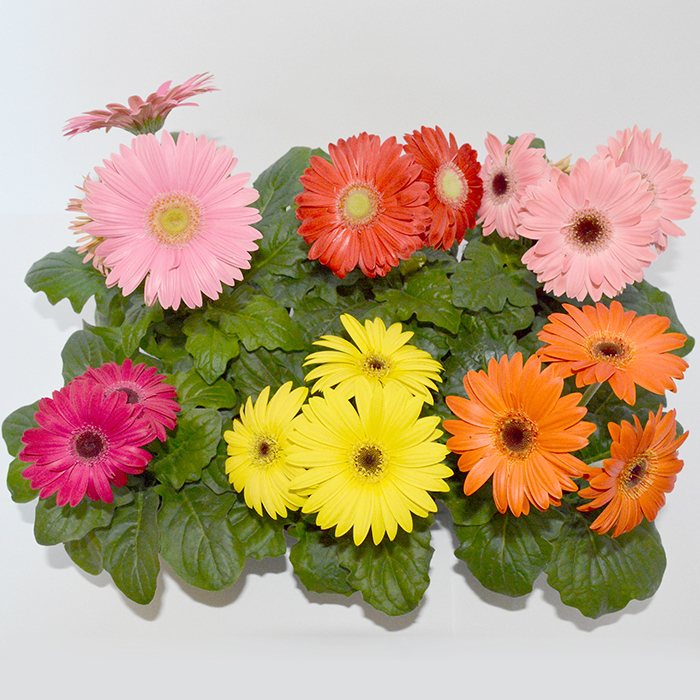 Gerbera are vulnerable to soil diseases and too much water result in root and crown rot. The best results are found in mild temperature areas where minimum night temperatures are higher than 6 °C, Gerberas are not affected by maximum temperatures and can tolerate harsh sunlight. The relative humidity should average 65%. The Gerbera prefers full sun and the best results are obtained on the north facing sites.